I am getting to this just in time! I finished my last book of the year today for a total of 110 book in 2010 – which is great for me! Instead of trying to figure out what my favorites were, I am looking at my spreadsheet and listing everything I gave a 10. It doesn’t mean they were all perfect, but they were all amazing reads! I have listed them in order read. It was my second book of the year and I am still telling people they should read it! It was an excellent story with excellent writing. I am very excited about the movie! I got this with a Christmas gift card last year and read it in a day. I could not put it down. I actually started writing my review WHILE I was reading it because I thought the first chapter was so fantastic. I read the first book last year and immediately loved Stargirl. Well, i think I loved her more in this book! I think educators and parents should read these books! This was the first book I ever read by David Levithan and it made me want to read more by him. I thought it was a touching and beautiful story. I want to read more about Tiny! I loved the next two books so much. I lent them to four friends and ask everyone I meet if they have read the series yet! This book showed me that Lauren Myracle is more than the ttyl series and can write an amazing paranormal and creepy book. After reading about the controversy, I had to check out this book for myself. I am so glad I did. I wish it had been around when I was in high school, i would have given it to some girls in my class. I actually didn’t review one of my favorite books of the year! It was a great read and felt like it was realistic and was one of my most enjoyable reads of the year. I didn’t review this one either, but so many people have and I agree with them. This is a beautiful, realistic romance. I fell in love with all of the imperfect and lovable characters. Anna may have been my favorite character of the year. I can’t believe some of the most memorable books of the year weren’t on my list – but thinking about it, these really stood out on the whole! I’m sure you may have seen this already, i know I have seen it several times and enjoyed reading what everyone has been saying!. This little survey is being hosted by Jamie over at The Perpetual Page-Turner. This book is disappointing because everyone else seems to love it. I have about 50 pages left, but Jane Eyre has not been my thing. I wanted to love it, but I just didn’t. It was The Help by Kathryn Stockett. I thought it was too hyped and couldn’t be that good – but it was! I recommended The Hunger Games by Suzanne Collins to a ton of people this year. Four people have borrowed my copies of the books and I just gave the last two to my mom! Same as the last one, The Hunger Games was just fantastic! So many! My #1 was Elizabeth Eulberg. I raved about The Lonely Hearts Club and have recommended it to a lot of people and can’t wait to read her second book! I also found Sarah Ockler, Rae Mariz, and David Levithan! The Guinea Pig Diaries by AJ Jacobs. He always cracks me up! Probably Anna and the French Kiss. I read a bunch of amazing reviews and finished it on Christmas and loved it! Probably Anna and the French Kiss. I thought it was a great cover that made me excited to read it. Has to be Absolutely, Maybe by Lisa Yee because it made me look for YA with strong female characters and showed me what I want more of in YA. There wasn’t really anything! The classics I read were great, but nothing really fits this question! I know, I am doing TWO TBR challenges this year, but I really want to knock books off of my list! I did this one last year and loved it, so here I go again. For this one, I am only picking books that are ON my physical shelf and have been for over a year. y the end of the year you should’ve knocked 12 books off of your TBR list! (of course, if you’re anything like me, you’ll have added *at LEAST* 12 more to the ever-growing pile by then! LOL). Challenge Sign-Up: Haruki Murakami Challenge! 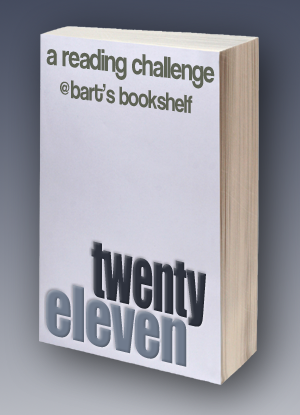 This challenge is being hosted by In Spring it is the Dawn and the goal is simple: Read books written by Haruki Murakami. I have read three of his books so far and loved them all, so I thought I would sign up! I am really looking forward to participating! Sunday Salon: A Day Late! I am a day late on this one – it has been a busy weekend. We are in Ohio with my family still – our part of NJ got around 20 inches of snow so we are staying an extra day and a half and driving halfway tomorrow. It is Jason’s birthday, so I feel really badly that he has to drive during it, but there is a really good restaurant in the town we are staying in, so at least we will have that! We also won’t get to see a good friend of ours that is in town for a very short amount of time, so that is disappointing. I don’t like losing the hours at work – they are closed today and of course I didn’t bring my computer home so I can work there…oops. Christmas was good – whole family was here and it was good to see everyone. Not many bookish gifts – just a sewing book and a book called How to Sew a Button: And Other Things Your Grandmother Knew How to Do. I was hoping for a gift card, but didn’t get one. We are heading to a bookstore today anyway! I will be getting together my best of 2010 list sometime today and posting it Dec 31st. I am looking forward to it! Hope everyone had a wonderful Christmas and is staying warm and safe. Yep, I am joining another challenge! This is hosted by Reading With Tequila. Create an intro post, linking back to this post. Sign up with the MckLinky below. Please link to your challenge intro post, not your blog home page. While working in the toy department of a family-run department store in NYC, Mrs. 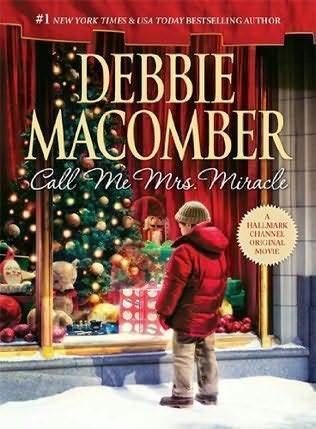 Miracle seizes the opportunity to connect Holly, who is searching for the perfect robot for her nephew, with Jake, the owner’s son. I didn’t enjoy this book quite as much as I liked Christmas Letters. I was a little preachy to me, which is always the risk you run with Christmas books. Other than that though, it was a fun, light read. What I DID like was that it was as not as predictable. I mean, you can easily figure out who the main romance is between, but there were some surprises and some small twists I was not expecting! It made me want to take the train into NYC (if only it wasn’t so expensive!) and see the city in its lights and decorations. This is being hosted by Bart’s Bookshelf and looks like a lot of fun! i am trying to diversify in 2011, so it looks like a great opportunity! You don’t have to pick books right away, but I am going to lay out some of my plans so I can figure it out! The requirement will be a total of 20 books from 11 categories, this means there will be a slight changes to the rules though. I’ve also decided to mix the categories up a little bit this time around, keeping some of the popular ones and throwing a few new ones in there to keep it fresh. This one focuses on sub-genres, read a lot of chick-lit, then try a paranormal romance! This is tough because I read such a wide variety. 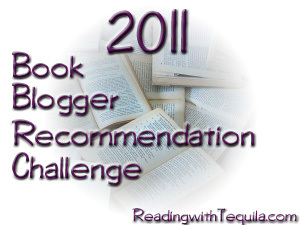 I have not read much LIterary Fiction in 2010, so that is what I will read for this one! Read a book published in 2011. Across the Universe will be one! Books in this category, should be ones you’ve picked up purely on the recommendation of another blogger count for this category (any reviews you post should also link to the post that convinced you give the book ago). I am always adding things to my TBR list from Amanda from The Zen Leaf, so I will make sure one is from her! 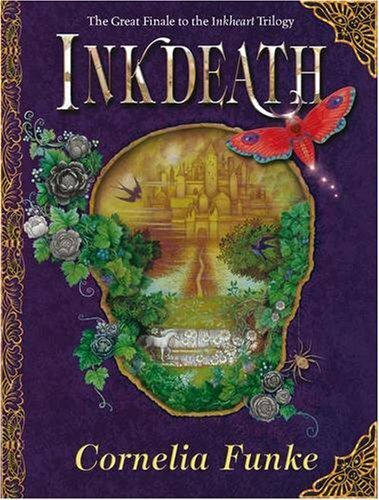 Ever since the extraordinary events of Inkspell, when the enchanted book Inkheart drew Meggie and her father, Mo, into its chapters, life in the Inkworld has been more tragic than magical. Dustfinger is dead, having sacrificed his life for his apprentice’s, and now, under the rule of the evil Adderhead, the fairy-tale land is in bloody chaos, its characters far beyond the control of Fenoglio, their author. Facing the threat of eternal winter, Mo inks a dangerous deal with Death itself. There yet remains a faint hope of changing the cursed story—if only he can fills its pages fast enough. The first book was by far the best in the series. I couldn’t help but be disappointed in this last book. Just like the second book, I was not as connected to the characters. Mostly, Meggie fell to the side too much in this book, and when she was around, she was a whining brat, not the Meggie I loved in Inkheart. She complained about Farid, even though she acted the same way as hit with her father. She complained about her father’s actions, even though she knew he would never let children die for him. She was not longer a protagonist or an interesting character, which was disappointing because I loved her at the beginning of the series. This book also felt unnecessarily long. I am fine with books that are almost 700 pages if it all feel likes it should be there. There were just too many parts that felt like they were filler and just keeping the reader from finding out how the series ended. I liked that we saw the perspective of so many characters. I usually enjoy seeing the story play out from many eyes. That said, this is what added to the unnecessary parts that felt like filler. We went to Orpheus’ perspective too many times. It would have been more interesting and exciting if we had not seen his actions or thoughts because then there would have been some suspense in the book. It was an enjoyable end and I liked seeing how they defeated Adderhead, but I think there was too much plot and not enough thought given to the reader. It felt very self-indulgent, like Funke was actually acting like her villain Orpheus and basking in this world she could create. It was a very disappointing end. I kind of wish that it hadn’t been a series and had only been Inkheart because the other two books did not live up to the first. Did you read it? Did you think it worked better as a series? Let me know why in the comments, I would love someone to convince me I am wrong! 1. Each of these 12 books must have been on your bookshelf or “To Be Read” list for AT LEAST one full year. This means the book cannot have a publication date of 1/1/2010 or later. Caveat: Two (2) alternates are allowed, just in case one or two of the books end up in the “can’t get through” pile. 4. Every person who successfully reads his/her 12 books and/or alternates (and who provides a working link to their list, which has links to the review locations) will be entered to win a $50 gift card from either Amazon.com or The Book Depository! 5. There may be mini-challenge “check-ins” throughout 2011, to award and recognize those participants who are progressing through the challenge. Participants who are making equal progress to-date (6 books at the 6 month check-in, for example) could win a prize! My list – to choose my list I went on my spreadsheet of books, figured out the ones that had been there for over a year and put them on random.org. They are all books I have been meaning to read for a while! There are some tough books on that list…glad i have some just for fun too!